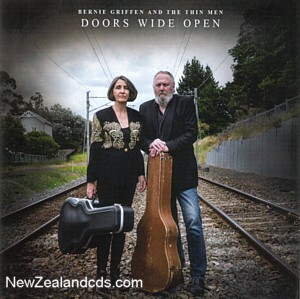 Bernie Griffen writes, performs and produces music seasoned and deepened by the hard-won experience of his years and his musical journeying. Bernie’s fourth original album ‘Doors Wide Open’ (2018), recorded in Melbourne with collaborator Kirsten Warner and producer Luke Plumb, releases brand new gems as well as songs that have followed Bernie from previous lives. Bernie has won plenty of followers with his moody, emotive brand of folk-country music. RNZ National Radio’s Trevor Reekie calls him a “national treasure”. Bernie’s song 29 Diamonds for the miners lost at Pike River might just go down in history as the song that best records the disaster.